U.S. Army Chaplain (Capt.) Jose Rondon currently serves at Fort Leonard Wood in Missouri. Rondon has seen more than 1,400 professions of faith at Fort Leonard Wood since he started serving at the facility. Photo from Jose Rondon’s Facebook page. FORT LEONARD WOOD (BP) – U. S. Army Chaplain (Capt.) 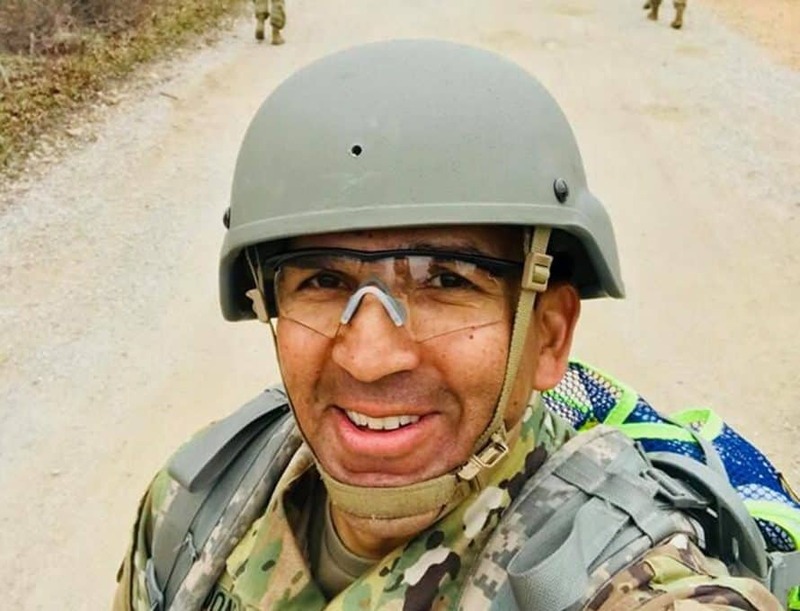 Jose Rondon believes “there is nothing more exhilarating in life than seeing people come to Christ.” This year Rondon has experienced that exhilaration with more than 1,400 professions of faith – something one could describe as a spiritual awakening – at Fort Leonard Wood, his place of ministry. It’s about being intentional with words and with how he treats his fellow soldiers. So when a staff sergeant first approached Rondon and asked to speak with him, the chaplain knew the sergeant wasn’t asking for words of wisdom but for listening ears. • More than 2,000 troops gathered in Doughboy Stadium at Fort Benning, Ga. this past Easter to celebrate the Resurrection of Jesus Christ. • Army chaplains are currently baptizing an average of 70 soldiers every basic combat training cycle at Fort Jackson, S.C.
• The U.S. Air Force Chaplaincy recently rolled out a new program called FaithWorks, which is a collection of evidence-based programs and materials promoting spiritual resilience for airmen and their families. • The military has built more chapels since 9/11 than any other period of American history except for World War II.